Please join us in welcoming Cesar Estada to our KFN Advisory Board. Cesar is a Senior Managing Director with State Street Bank and Global Head of Product Management for Private Equity & Real Asset Fund Services. 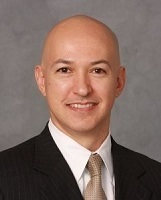 Cesar Estrada has developed a career driving growth and innovation within large organizations. He has launched, acquired and grown products and business units across different sectors of financial services and other industries. Cesar is currently a Senior Managing Director with State Street Bank and Global Head of Product Management for Private Equity & Real Asset Fund Services (PE/RA). He is a member of the board of directors of State Street Fund Services Inc., the operating and contracting entity for PE/RA. He was previously Unit Head for Private Equity Fund Services where he drove consistent double-digit growth in the high teens/low twenties. Before joining State Street, Cesar was a Managing Director with JP Morgan’s Corporate & Investment Bank where he was responsible for launching and operating an R&D lab focused on new product initiatives around big data and advanced analytics. Additionally, he led the launch of JPMorgan’s Private Equity & Real Estate Funds Services business reaching $100 million in revenue p.a. under his leadership as Global Product Management Head. He also held investment banking roles in New York, London and Hong Kong within M&A, Equity Capital Markets and Debt Restructuring respectively. Prior to JPMorgan, Mr. Estrada held roles in product management and strategy for start-up and large companies entering new markets in Latin America and the United States. Cesar received his BS in Chemical Engineering from ITESM and an MBA from the Kellogg School of Management at Northwestern University. Currently he serves as the Chairperson of the Kellogg Alumni Council.